Public Rituals was a presentation of video installations by young Polish artists. 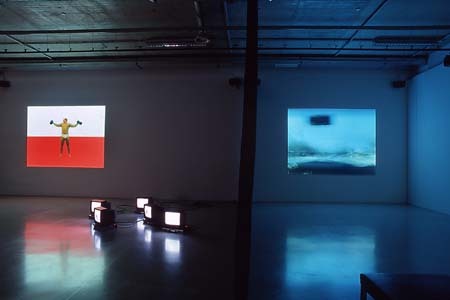 A problem was posed by the competing sounds from works presented in a single space, the MUMOK Factory. 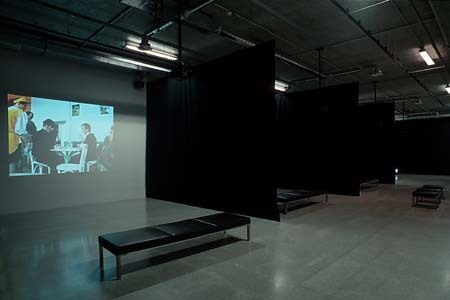 This was solved within a limited budget by installing heavy, room-high black curtains to create individual compartments where visitors were able to concentrate, undisturbed, on a single installation.